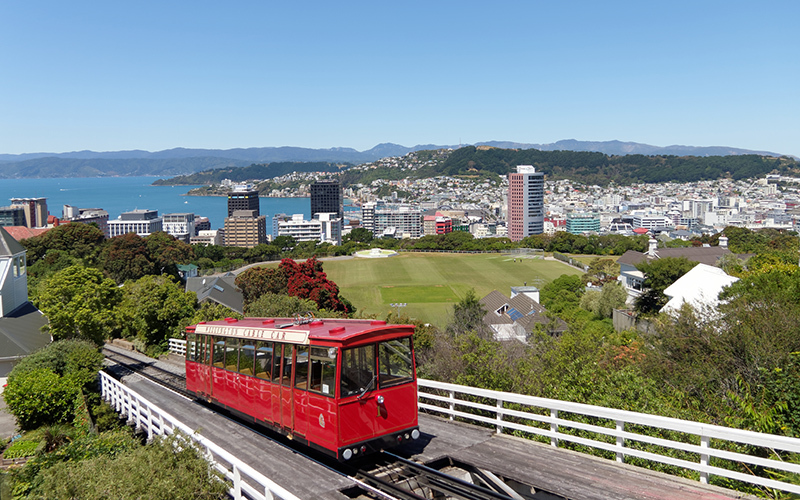 This friendly club room venue is in Wellington’s eastern, lively suburb of Miramar, just 5 minutes from Wellington International Airport. 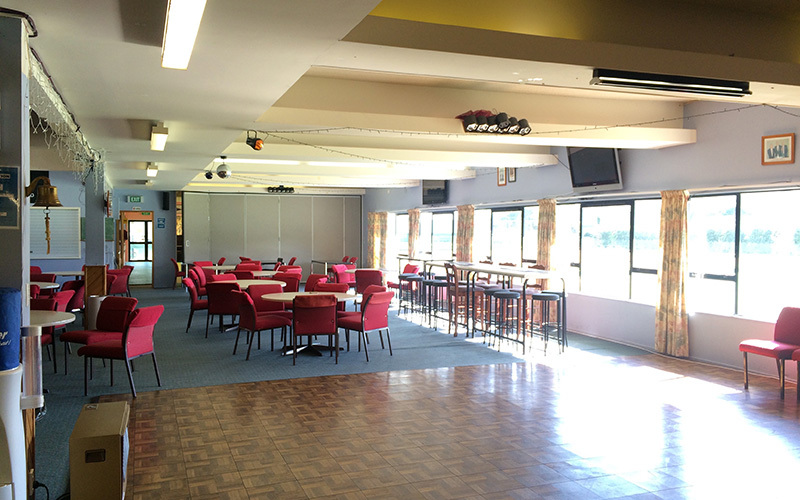 The main room has large windows overlooking the green, a dance floor, disco lighting, screens and a wide screen TV for events, seminars, workshops and functions. 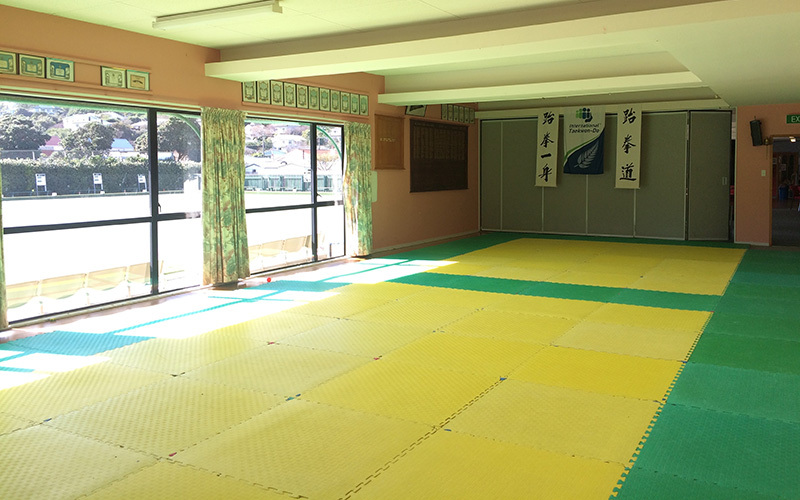 A second room, pictured here with removable Tae Kwon Do mats, may be joined or separated with sliding panels for a versatile space. 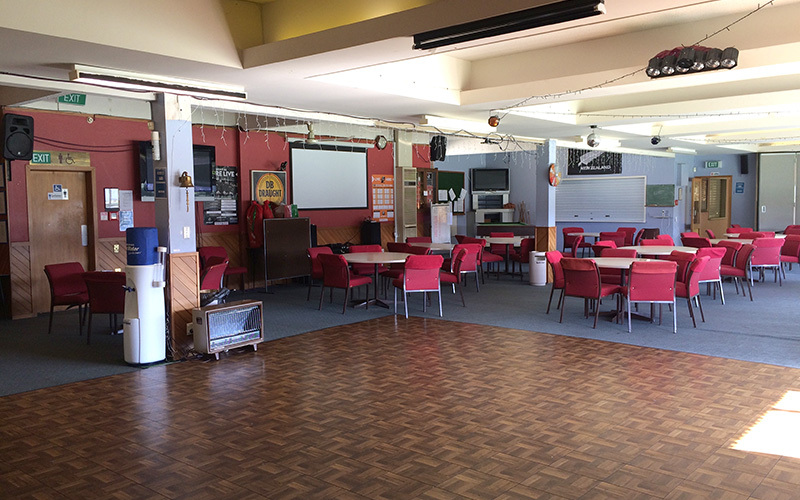 This venue has hosted diverse events: corporate functions and seminars, dances, karaoke nights, parties, Elvis impersonators, and was the setting for the Hurricanes “We’ve got your back” video. No 21sts, please. A large, full kitchen gives you the option of in-house catering, DIY or bringing your caterers in. There is a full bar. 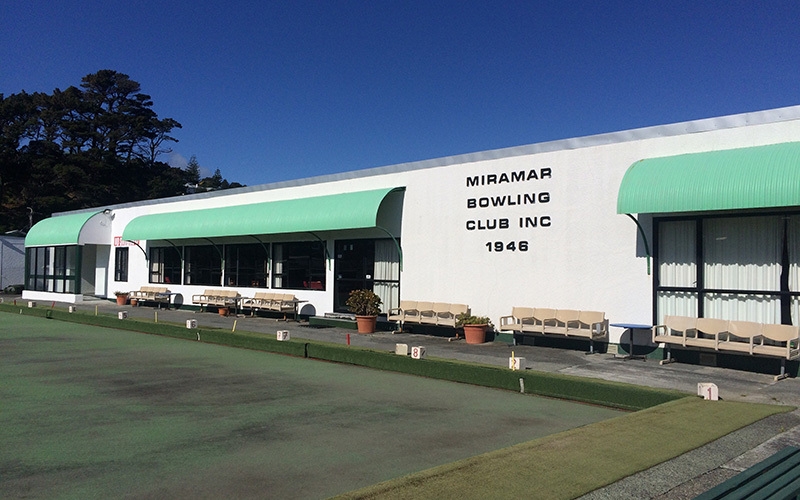 Use of the kitchen and the bowling facilities are additional.